Whether you’re a travel novice or expert, packing cubes are great for making the most of your luggage. A good set of packing cubes can help you separate and organize your clothes for a trip, all while reducing wrinkles and making unpacking extra easy. Not to mention, packing cubes help to economize space, so you can fit an extra jacket or pair of jeans in your carry-on bag. You can even combine packing cubes with a vacuum bag, if you’re packing for an extended stay away from home. There are a lot of options in the world of packing cubes, so finding a set that’s right for you can feel a little daunting. That’s why we’ve found the best packing cube sets at every price point and highlighted their best features (and shortcomings). 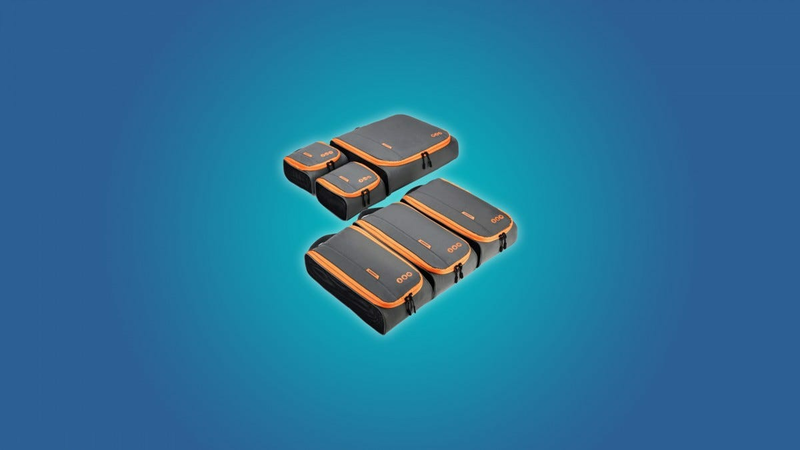 Yes, the Bagsmart 6-cube set looks more like a bunch of lunchboxes than a set of packing cubes. But that lunchbox aesthetic is actually a sign of quality and durability. The thick plastic lining of the Bagsmart packing cubes ensure that your clothes will remain dry and wrinkle-free. Plus, the Bagsmart cubes are durable enough to survive years of flights or any other form of abuse. The largest cube in the Bagsmart set is 13.8″ x 13.8″, and the smallest cubes are 6.9″ x 6.9″. All of the Bagsmart cubes are about 3.5″ deep, which is actually perfect for large bags or carry-on suitcases. Although the tops of the bags are made of a thick plastic, their sides are actually a flexible mesh. It’s easy to see what’s in each bag, but you have to take them out of your suitcase first, which is good for privacy but also mildly inconvenient. All of the Bagsmart cubes have handles, which makes them great for hauling or hanging. Again, these packing cubes are worth the money. They can hold a lot of clothes, they’ll keep your things from getting wrinkled, and they can handle the mistreatment that all luggage inevitably experiences. But you may want to consider a less expensive or smaller set if you travel infrequently. 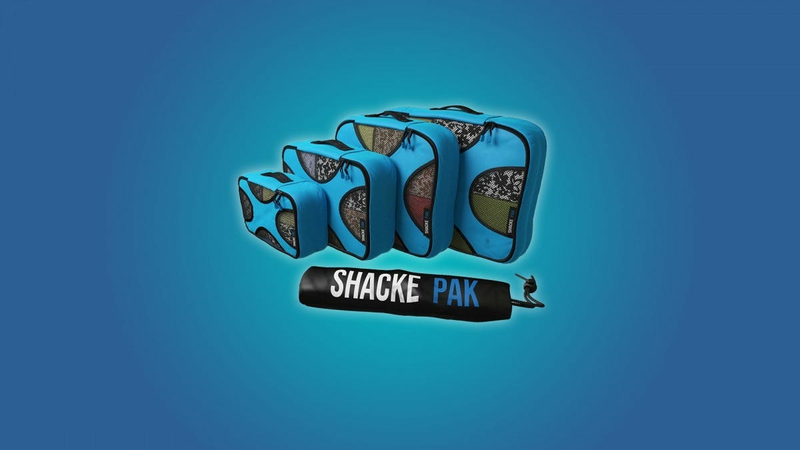 The Shacke Pak 4-cube set is a great, mid-range packing cube set with tons of space and durability. It can hold a ton of items, even though it only comes with four cubes. The largest cube in the Shacke Pak set is 17.5″ – 12.75″, and the smallest cube is 11″ – 6.75″. All of these cubes are 4″ deep, which is more than enough space for all of your bulky sweaters and jeans. They all have little mesh windows, so that you can see what’s in each cube at a glance. And the Shacke Pak even comes with a travel hamper, which is a better place for your dirty clothes than the floor of a guest room or hotel room. While this set doesn’t come with as many packing options as the lunchbox-looking Bagsmart cube set, it can still hold a ton of clothes and last for a very long time. 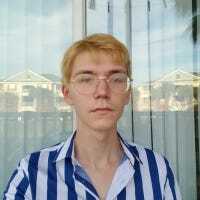 And for $25, what else can you ask for? You can get a few years worth of use out of a good set of packing cubes. But spending more than $30 on luggage organizers can seem pretty unreasonable, especially if you only travel once or twice a year. If you’re looking for a cheap, durable set of packing cubes, then you should consider the AmazonBasics 4-cube set. The largest cube that you get with the AmazonBasics set is 17.5″ x 12.75″, and the smallest is 11″ x 6.75″. 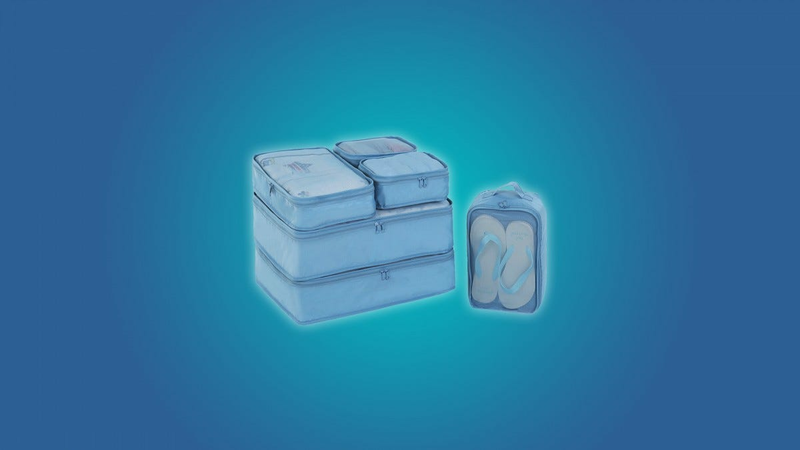 All cubes are about 3″ deep, which is a little shallow when compared to other packing cubes. All of the AmazonBasics cubes have mesh tops that you can see through, and handles to make carrying and hanging easier. Again, this is a durable set for people who don’t want to spend too much money on packing cubes, or who don’t need a set of gigantic cubes. These cubes are only 3″ deep, which may be too shallow for your giant stack of sweatpants and hoodies. If you want a lot of bang for your buck, then you should take a look at the JJ Power 6-cube set. It rivals the more expensive Bagsmart cube set in terms of volume, and it’s extra portable because it’s made with thin (although cheap) nylon. And while most cube sets only come with one large cube, the JJ Power set comes with two large cubes. That’s great if you need to bring a bunch of bulky winter wear on your trip. 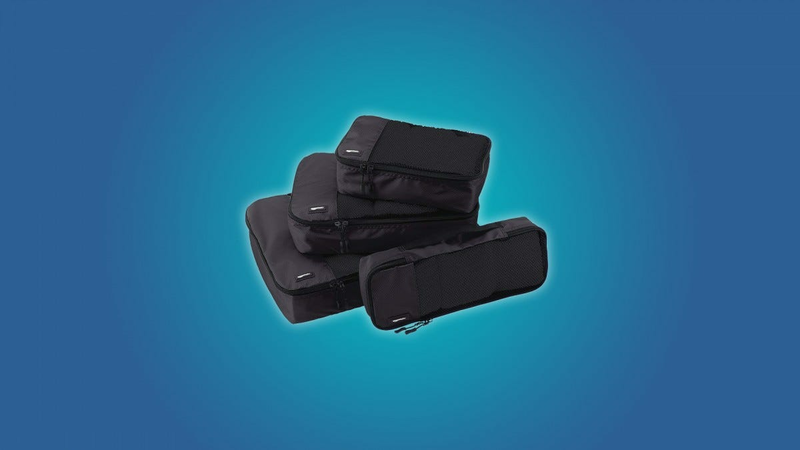 The largest packing cubes in this set are 17.8″ x 13.8″, and the smallest are 8.7″ x 6.7″. The large cubes are a fantastic 4″ deep, and the medium and small cubes are an acceptable 3″ deep. One of the cubes is meant for shoes, so it’s extra thick and about 4″ deep. Of course, you can use the shoe bag for anything. All of the JJ Power cubes have clear plastic tops for visibility, but only the shoe bag has a handle. The JJ Power set is great if you have a lot of luggage that you want to organize without spending a ton of money. They’re not the thickest, or the most durable packing cubes, but they’re a great budget pick. You’ve organized your pants and socks with packing cubes. That’s cool, but have you found a way to organize your electronics? One of the downsides to packing cubes is that they rarely help with loose items, like cables or batteries. If you’ve got an itch for organization, then you should consider grabbing a small electronics organizer with a bunch of different straps and pockets. That way, your SD cards and USB cables will be safely tucked away, instead of aimlessly floating around your suitcase. 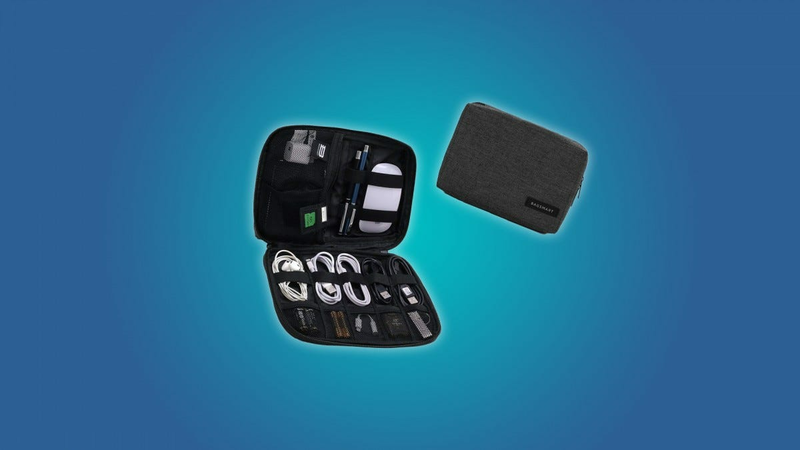 The Bagsmart electronics organizer is a particularly good option, as it’s quite compact and has a water-repellent case. You can use it for USB cables, battery packs, hard drives, and any other trinkets that you want to keep safe and organized. 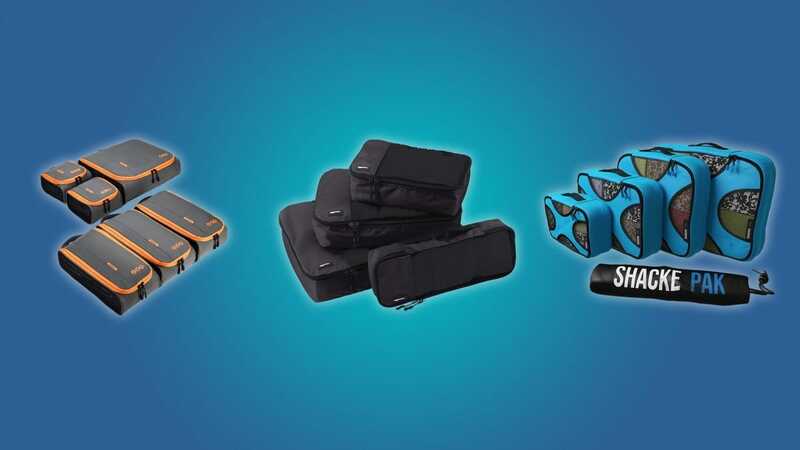 If you’re interested in tiny electronics organizers, then you should also check out our roundup of the best bag organizers.